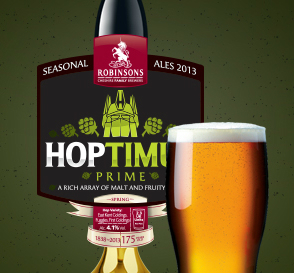 Robinson’s Brewery, a UK purveyor of booze that has been around for 175 years, is clearly not afraid to embrace change. As in, robots that change into other things. Look, if robots really drink this stuff, I think we might finally have a legitimate reason as to why Bumblebee urinates in the movies. And be warned: negative comments about this brew posted below will be considered “flames on Hoptimus.” Remember, inebriation is the real right of all sentient beings.